A foundational principle of Cleveland’s Aligning Forces for Quality (AF4Q) program, led by Better Health Greater Cleveland, is that better care leads to better health and lower costs. 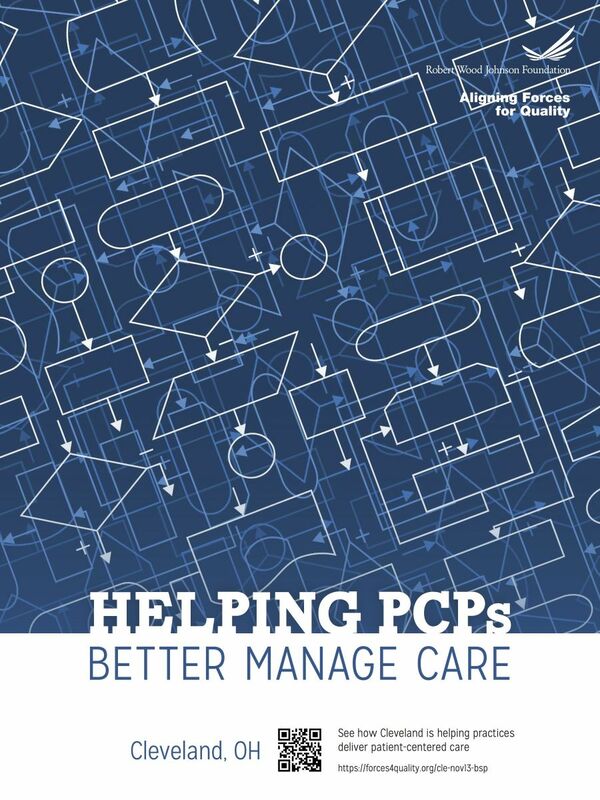 Since its start in 2007, the mainstay of Better Health’s improvement efforts in primary care have been diabetes, high blood pressure, and heart failure, all common cardiovascular conditions that can be well controlled with care delivered outside a hospital. New data show that Better Health’s work is paying off. The data suggest that an estimated 1,928 hospitalizations for these conditions and more than $13 million in costs were averted in Cuyahoga County, OH, between 2009-2011, the three years after Better Health’s activities began. Across the region, the collaborative’s programs have helped practices adopt patient-centered models of care, use electronic health records more effectively, and regularly measure care to identify opportunities to continuously improve. “We consider it shortening the path, but it’s really a bright spot in the region to do something that is meaningful,” said Randall D. Cebul, MD, president and director of Better Health. Better Health’s expertise and established programs in primary care transformation has made it a leader in Ohio’s efforts to implement the PCMH model statewide, a goal reflected in both Ohio’s State Innovation Model grant and the Ohio Department of Health’s priorities. The model emphasizes care coordination, stronger doctor and patient engagement, improved access, proactive interventions, and thoughtful management of chronic conditions. The collaborative has its sights set on where health care should be and helps ease primary care practices’ journey through the transition in northeast Ohio. Better Health is helping primary care practices shorten the path to adopting the model and achieve recognition from the National Committee on Quality Assurance. To date, Better Health has helped more than 20 practices achieve NCQA recognition. Complementing Better Health’s coaching program are twice-yearly Quality Improvement Learning Collaborative summits, which Better Health has offered since September 2007. About 200 people attend the meetings, which provide a mix of plenary talks on national and statewide health care reform and improvement topics, workshops, and networking, where best practices and ideas are shared. It’s one of the most well-known activities of Better Health, which has become known as a safe space where competitors collaborate.